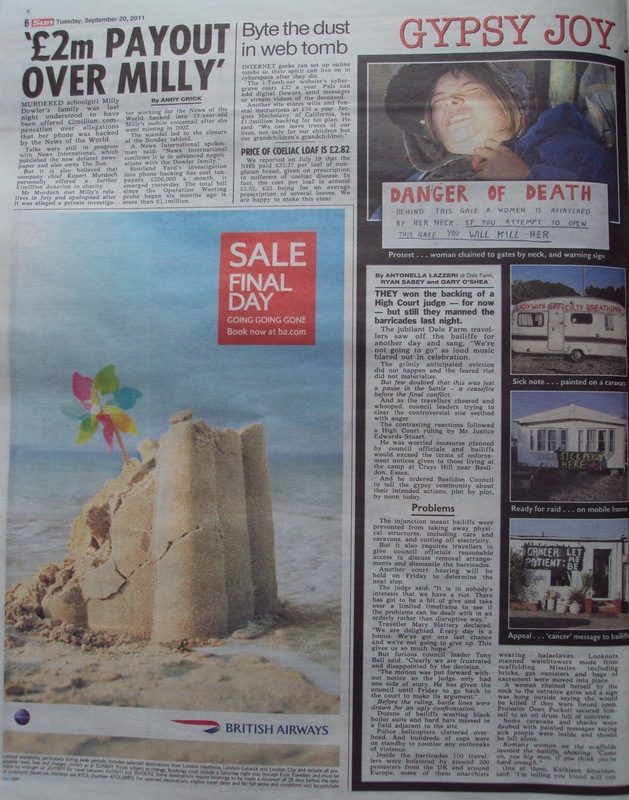 It was something of a surprise that Richard Littlejohn didn't mention the BBC BC/AD non-story in his column on Tuesday. But he just couldn't resist. Only this week the BBC announced it was scrapping references to AD and BC because it didn’t want to offend, or discriminate against, non-Christians. It is incorrect to say that the BBC has replaced date systems BC and AD with Before Common Era (BCE) and Common Era (CE). Whilst the BBC uses BC and AD like most people as standard terminology, it is possible to use different terminology, particularly as it is now commonly used in historical research. The BBC has issued no editorial guidance on date systems, and the decision rests with the individual editorial and production teams. So: did Littlejohn know his statement was untrue, and wrote it anyway, or did he not bother to check his facts, and so wrote out of complete ignorance? And how many more times is the Mail going repeat something that it must know is not true? Yesterday, the Mail on Sunday's front page story claimed that the BBC had 'dropped' the abbreviations BC/AD and ordered that BCE/CE be used instead. The former had been 'replaced' and 'jettisoned', it said. The BBC had 'turned its back on the year of our Lord'. So BC/AD is used as 'standard' but the BBC allows people to use BCE/CE, based on personal preference. Knowing that is the case, why did the Mail on Sunday decide to run its 'BC/AD dropped' story? And why have other newspapers and columnists continue to repeat the 'ban' lie as if it is true? On Sunday, the Telegraph's website churned out a quick news story that repeated the claims despite also including (at the end, of course) the BBC's quote denying them. No longer will its website refer to those bigoted, Christian-centric concepts AD (as in Anno Domini – the Year of Our Lord) and BC (Before Christ)...All reference to Christ has been expunged. This depite the BBC's denial - which he doesn't mention - and despite the fact there are many references to BC and AD on the BBC's website. Either Delingpole knew this, and wrote that the terms had been 'expunged' anyway, or he didn't check, and wrote it without knowing for sure. It's very poor practice either way. And that's not a first for Delingpole - he also repeated the £32-loaf-of-bread nonsense a day after that first appeared, despite it being completely wrong. Mullen's rant was published at 6.27pm on Sunday night - less than an hour after BBC1 broadcast 30-minutes of hymns and tradition in Songs of Praise: 50 Amazing Years. 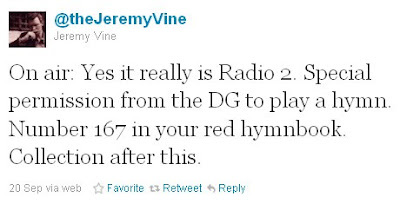 Earlier in the day, BBC Radio 4 had broadcast Sunday Worship. Every weekday the same station broadcasts Prayer for the Day, Thought for the Day and the Daily Service. 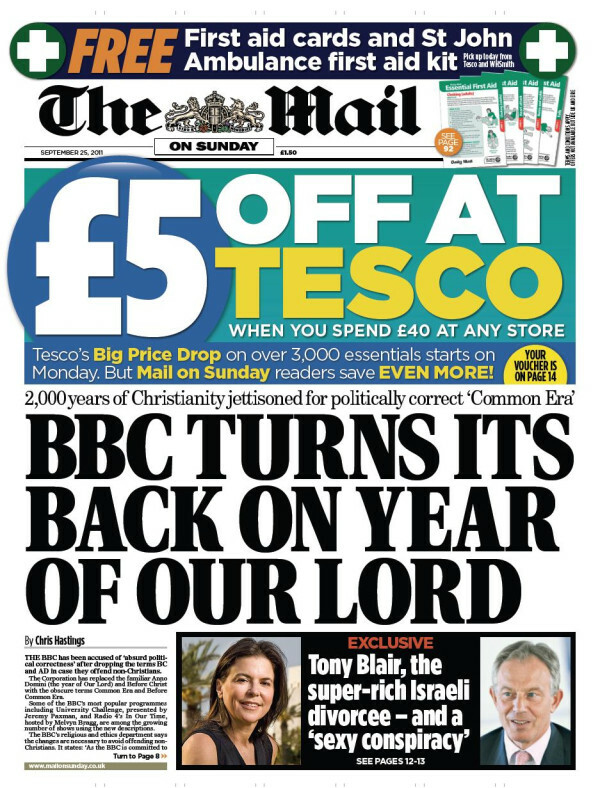 Is this the BBC's 'undoubted loathing of our Christian heritage'? Moreover, thirty-five minutes into Sunday's episode of Antiques Roadshow expert John Axford used both BC and AD. This was two hours after Mullen had told everyone the BBC had 'stopped using' the abbreviations. has decided that the terms AD and BC (Anno Domini, or the Year of Our Lord, and Before Christ) must be replaced by the terms Common Era and Before Common Era. Either she hadn't read the BBC's statement - or even, as a journalist, spoken to the BBC for clarification on the matter - or she decided it was worth ignoring. The latest manifestation stars once again that all-time world champion of political correctness, the BBC. Do as she says, not as she does. If the abbreviations are not 'appropriate' to her, why should they be 'appropriate' to everyone who works at the BBC? Phillips also refers to the BBC's 'edict' on this matter but the 'edict' is, as the BBC has made clear, 'use whichever terms you want'. the terms CE and BCE are now increasingly finding their way onto news bulletins and on programmes such as University Challenge or Melvyn Bragg’s Radio Four show In Our Time. Melvyn Bragg and his guests discuss the Etruscan civilisation. Around 800 BC a sophisticated civilisation began to emerge in the area of Italy now known as Tuscany. debate becomes impossible...words...have come to mean the precise opposite of what they really do mean. AD and BC...must be replaced by the terms Common Era and Before Common Era. Words have indeed come to mean the precise opposite. Johnson appears to believe in the myth of some centrally-issued edict that is banning the use of BC/AD at the BBC. But what he's actually calling 'deeply anti-democratic' is a position that says 'individuals can do what they wish'. Indeed, Martin Robbins argues that it is the Mail's view - 'It's not enough that the BBC allows staff to use AD, they must use it, always' - that is the more problematic. Bosses advised staff to replace Anno Domini – the Year Of Our Lord – and Before Christ with terms Common Era and Before Common Era. The Mail and Telegraph both quoted BBC presenters who maintain they will be sticking to BC/AD yet both papers still refer to a 'diktat' and 'guidance' that the terms are 'barred'. The Mail's article puts the BBC's denial earlier in the story than the Mail on Sunday managed, yet it still carries the headline: Andrew Marr says he will ignore BBC diktat to stop use of BC and AD. At the time of writing, there are 900 comments on Johnson's article, over 100 on Phillips' and over 1,500 on the original Mail on Sunday story. The vast majority are attacking the BBC for some 'edict' that they haven't, actually, issued. The story has been repeated on countless blogs, websites and forums and been linked to by outraged people on Twitter. The BBC's position - BC/AD is standard, but people can use whichever they want - has generally been forgotten or ignored. The result of this hijacking of the language is that debate becomes impossible because words like...truth and many more have come to mean the precise opposite of what they really do mean. Not so. Just over half an hour after the first comment was left on the article, Jamie from Wisbech pointed out it was a cuscus. There then followed dozens more comments identifying the 'mystery creature' as a common spotted cuscus. 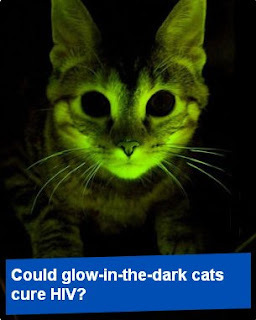 How did they manage that, given 'nobody has seen a creature quite like this one before'? On University Challenge, Jeremy Paxman referred to a date as being Common Era, rather than AD. This nasty formulation is designed to write Christianity out of our culture. The terms are not confined to religious output and have also been used in news bulletins. Some reports add to the confusion by switching between both terms in the same item. "I will continue to use AD and BC because I don't see a problem." This is not the first time the BBC has caused controversy over its use of alien language to promote a politically correct, Europhile agenda. It's not clear why CE and BCE are deemed 'alien' or 'Europhile'. It's not as if the terms are new - the Mail on Sunday includes a box which dates them back to the mid-nineteenth century. It also says they are becoming 'particularly common in the United States'. Last year, Northern Ireland correspondent William Crawley referred to the construction of the Temple of Solomon in about 950 BCE. So Hastings has the BBC quote denying the terms have been dropped. He has a prominent BBC presenter saying he's going to keep using the BC and AD. And he has his own evidence saying BBC journalists are 'switching between both terms'. Yet Hastings still writes the article in this way, and the Mail on Sunday still splashes it all over the front page. If only the BBC website didn't prove him wrong. At time of writing, however, the Mail's article has disappeared, quietly deleted from the Mail's website as it realised Vine's comment may not have been entirely serious. It is understood permission had to be given by BBC bosses in case playing a Christian hymn was seen as promoting one religion over another. How Reynolds 'understood' why permission had to be given when it didn't isn't entirely clear. And why would he need permission, if they are 'keen' to find the nation's favourite? The Mail's website has not printed the BBC's comment, or clarified why their article was deleted. But their version of the story has already spread across the internet. In our article of 29 April "I'm too skint to pay the bill for cancer", we reported that Dr Helen McGlone had "begged a judge for help as she cannot afford expensive radiology which could help her fight the disease." Dr McGlone has asked us to make clear neither she, not her advocate, Andrew Smith QC, begged the court for help. We accept that she does not have cancer and therefore does not require radiology treatment. We are happy to make her position clear and offer her our apologies. On March 27, 2010, in an article headlined ‘Family at war over Subo’s millions’, we reported concerns of Susan Boyle’s family about her then manager Mr Kilkenny.We did not intend to suggest that he was likely to manage Miss Boyle’s finances dishonestly and accept this is untrue. We apologise to Mr Kilkenny for this suggestion. 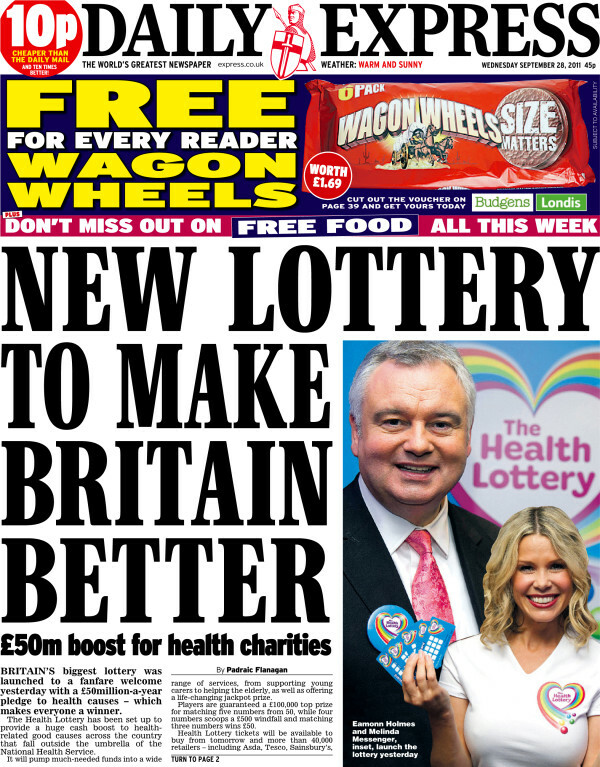 Yes, it's another Express front page headline about health that promises to reveal some great secret. 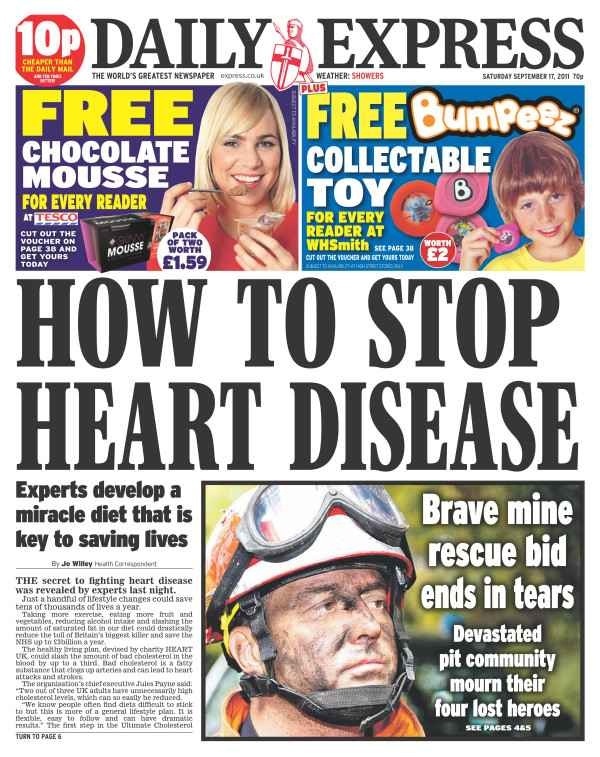 The sub-heading sounds promising: 'Experts develop a miracle diet that is key to saving lives'. eat a lot more “natural” foods, such as fruit and vegetables, whole grains, nuts and yogurt, while avoiding anything processed...cut out fizzy, sugar-sweetened drinks...Exercise reduced weight, while alcohol added. The secret to fighting heart disease was revealed by experts last night. 'Last night'? Did people really not know that exercise, fruit and veg were good for your heart before 'last night'? 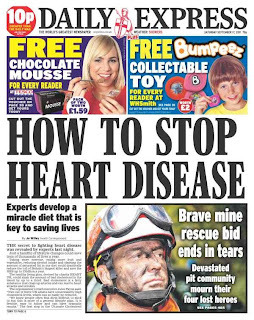 Willey goes on to explain that this 'miracle diet' is actually a 'healthy living plan' called 'Ultimate Cholesterol Lowering Plan', which has been produced by the charity Heart UK. But their press release on the Plan is dated 1 September. So not only are the general tips very well known, the specific plan is actually two week-old news. And that is what they Express has decided to lead on. Unfortunately, they haven't explained where the 'free chocolate mousse' fits into this 'miracle diet'. 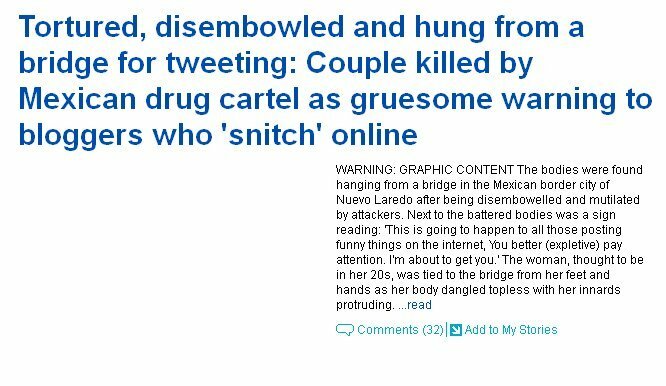 The website happily posted the photo of two dead bodies hanging from a bridge - given the size of the picture, the 'graphic content' warning was utterly pointless. Yes - in the sentence above the 'graphic' picture of the tortured, disemboweled victims, they decide to censor a swear word. 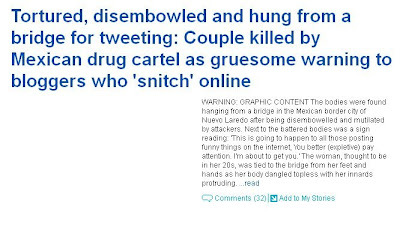 It's not the first time the Mail's website has published such pictures - indeed, in June it ran four photos of two other people killed and hung from a bridge in Mexico. Critics said last night said the the BBC had gone too far in choosing to broadcast Gerald's death and that it was a cynical attempt to boost ratings. Presumably, then, the decision of the Mail's website to post such images - and full CCTV footage of the 'horrific execution of man in New York' - is not a cyncial attempt to attract visitors to its website. Yes, why does the fashion world 'hate' Kate Middleton? Perhaps some previous columns written by former Marie Clare editor Jones can help explain? Kate will have to ditch, overnight, much that she loves: the long, scuffed boots and woolly or fishnet tights. The sequins. The awful, ubiquitous baseball cap. The skinny jeans and wedge shoes. Wearing a Topshop dress on her birthday. The wraparound shades — we need to see her eyes. She will have to do more with her hair other than simply dousing it in what looks like Pantene Pro-V. Kate shouldn’t lose too much length, but a Scarlett Johansson-style chignon would be good for big occasions. Kate will need to be prepared for near-constant critique. The thick black tight has become something of a Kate signature and one I wish she could be weaned off. Kate is being badly let down at the moment in the fashion stakes. My main problem with Kate’s shopping spree last week is not her choice of labels, so much as that she shouldn’t be picking up clothes piecemeal, on a whim or, worse, in a last-minute panic. It is all so casual...staggeringly, mind-bogglingly cheap and disappointingly pedestrian. My only gripe with Kate is her hair, which is now a little too long, and too flicked at the ends. they were queuing up not to praise her but to slate her...‘She’s a very ordinary girl’ one fashion editor told me dismissively; ‘she needs better make-up’, added another. for all their sneering at Kate, style-setters tend to have gaping holes in their personalities. Angry Mob has posted on Liz Jones' recent column about clothes and the riots. Chocoholics who shun the gym can celebrate – a little bit of dark chocolate can improve health in much the same way as exercise. Eating dark chocolate improves athletic performance just as much as exercise, a study has revealed. Could this be extrapolated to humans? “It is something we hope to identify in future studies,” said Dr Malek. So the tone of these headlines and articles isn't really justified. These findings provide evidence that giving mice epicatechin can lead to increases in their muscular performance that are similar to those obtained by regular exercise. the study does not show that eating dark chocolate is beneficial, or that it is a substitute for exercise in humans, attractive though the idea is...Such statements are not backed up by this study. 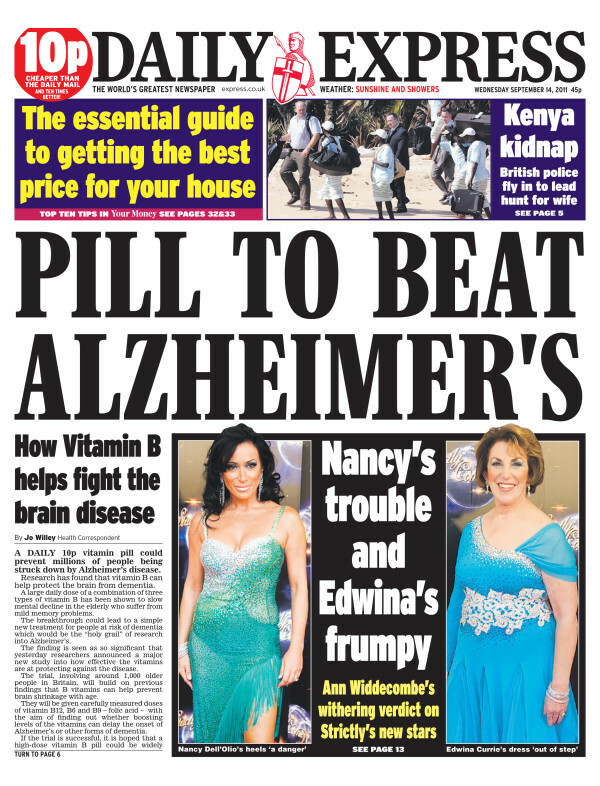 A daily 10p vitamin pill could prevent millions of people being struck down by Alzheimer’s disease. Research has found that vitamin B can help protect the brain from dementia. A large daily dose of a combination of three types of vitamin B has been shown to slow mental decline in the elderly who suffer from mild memory problems. cinnamon, used in everything from cakes to curries, could be the “holy grail” in slowing or even eradicating dementia in patients. The breakthrough could lead to a simple new treatment for people at risk of dementia which would be the “holy grail” of research into Alzheimer’s. Professor Robin Jacoby, research author and Alzheimer’s Society trustee, said: “These studies add weight to the argument that vitamin B is good for our brains. Newspaper coverage of this research has tended to be overly optimistic about the study’s findings. 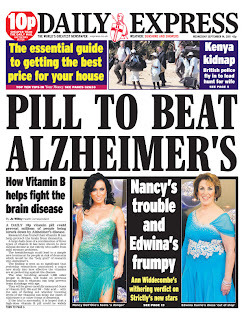 For example, the Daily Express described vitamin B supplements as a “Pill to beat Alzheimer’s”. 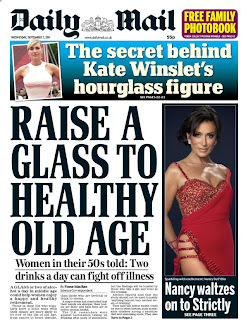 The Express also listed some “natural ways to beat dementia”, which include eating meat, fish and vegetables. This information is misleading, as none of these foods has been found to prevent dementia. While the foods listed in the Express can be dietary sources of vitamin B, the amount of vitamin B in the pills used in this study was extremely high, and the study’s authors have been quoted as saying that they should be considered to be medicines rather than regular vitamin supplements. The Mail, Mirror, Telegraph, Guardian and Independent also covered this research. 'When Paddy groped Sally!' See what they did there? If only the large photo didn't completely discredit the claim in the headline. appeared to make a grab for his BB bosom buddy. 'Appeared to' - but didn't really. Sally Bercow - who now writes a column for the Daily Star Sunday - said on Twitter that the front page was 'hilarious nonsense'. 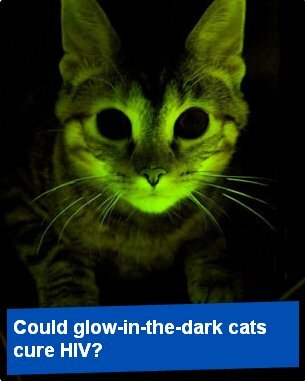 The headline writers at the Mail certainly enjoy posing odd questions. 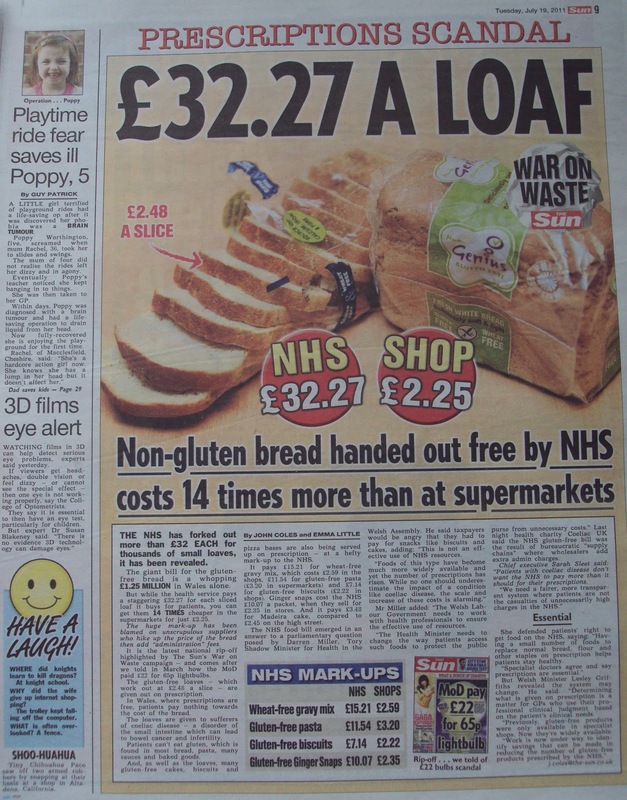 On Saturday, the Daily Express decided to report on the latest Audit Bureau of Circulations figures which showed a slight increase in sales for the paper. The increase from July to August was 3,812 copies a day and this was the second consecutive month of increased sales. But the daily circulation in August stood at 629,764. In May, they were selling 631,588 copies per day. 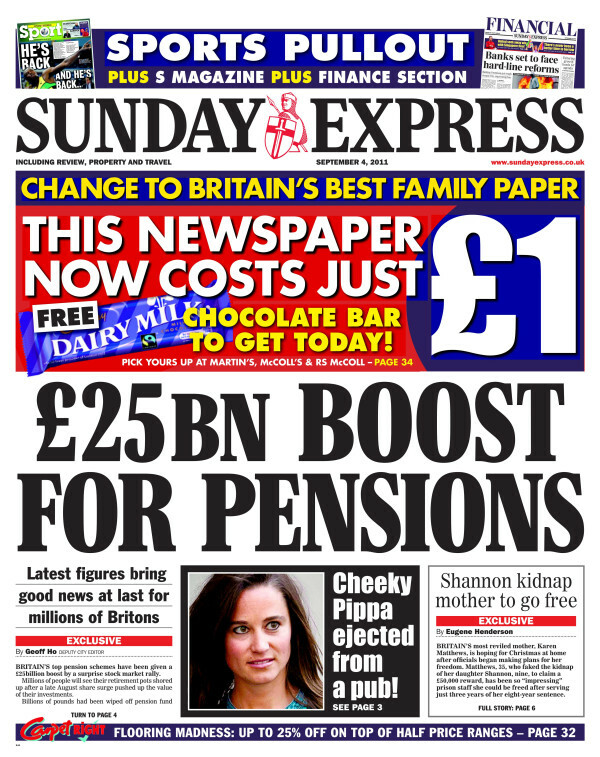 Moreover, when Richard Desmond acquired the paper in 2000, the Express' circulation stood at 985,253 and has never risen above that figure (despite what he claimed in a television interview). Despite using the 'World's Greatest Newspaper' slogan on the front page every day (don't laugh) it sells fewer copies than the Sun, Mail, Mirror, Star and Telegraph. 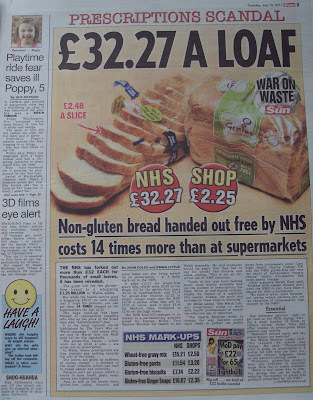 The paper claims this month-on-month increase is partly down to its 'leading news coverage'. By 'leading news coverage' it must mean front page health 'secrets' such as exercise being good for you and smoking being bad for you. 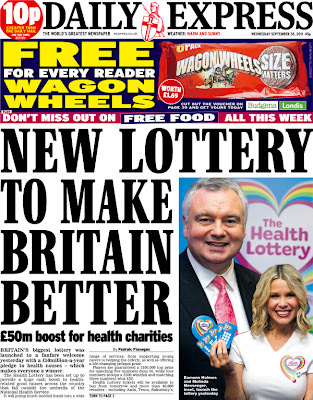 And the Express isn't the only Demond paper celebrating the latest ABCs. It's not clear how the Express can be the 'greatest' newspaper in the world if it isn't even 'No. 1' in Britain. We're the most successful newspaper in Britain – and that’s OFFICIAL! The basis for this claim is that the paper has seen a 95% year-on-year increase in sales. Like other Sunday tabloids, it has benefited hugely from the closure of the News of the World. What it neglects to mention is that in July 2010, it was selling a meagre 370,032 copies every Sunday - the smallest circulation of any daily or Sunday red-top in Britain. Our performance was 28% better than the dull Sunday Mirror – and a stonking 29% better than the tired old People. The paper is, however, only telling half the story with those figures and it neglects to mention something rather important. 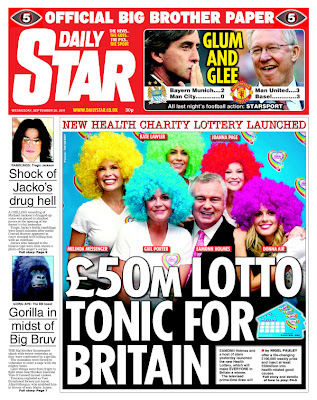 In August 2011, the Daily Star Sunday sold 744,981 copies every Sunday. But the 'tired old People' sold 892,033 copies every Sunday. And the 'dull' Sunday Mirror sold 1,900,460 copies every Sunday. Indeed, not only does 'the most successful newspaper in Britain' (ahem) sell fewer copies every week than the Sunday Mirror and The People, it trails well behind the Mail on Sunday (2,098,244 copies) too. No other paper got anywhere near. And it’s no surprise. And our exclusive that David Beckham had a gun guard was followed up around the world. This is the best the paper can come up to show the quality of its 'news'. Rich man's bodyguard carries a gun. Soap star has relationship problems. And wouldn't it have been hard to 'stun the world' with the Jessie Wallace 'news' considering most of the world doesn't know who she is? The paper's assertion that it is Britain's number one is as hollow and ridiculous as the Express' 'World's Greatest' claim. My apologies to Lord and Lady Coe for reporting that they had hosted a party at their Surrey home at the weekend. Lord Coe was, of course, in South Korea at the world athletics championship in his capacity as Vice President of the International Association of Athletics Federations at the time. It was a case of mistaken identity by my source and I’m sorry for any embarrassment caused. Articles on June 9 reported comments from Dr Benny Peiser, director of the Global Warming Policy Foundation, which suggested that ‘green stealth taxes’ are adding 15 to 20 per cent to energy bills. According to Ofgem, the correct figure for environmental costs in domestic bills is currently no more than 9 per cent. We are happy to clarify this. It says very clearly in the sub-heading that a '£200 stealth charge is slipped on to your gas and electricity bill'. so-called green stealth taxes are already adding 15-20 per cent to the average domestic power bill and even more to business users. Yet the scandal is that these secret extras which add 15 to 20 per cent aren’t even itemised on our gas and electricity bills. The following day, Derbyshire repeated Peiser's claim of 15-20% on a £1,000 bill in another article. 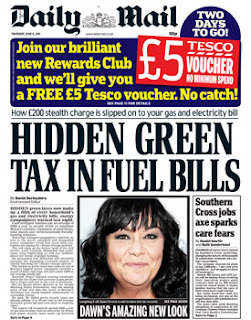 And on 15 June, an article by Lauren Thompson explained how the 'Mail revealed last week' that experts ('such as Peiser') said green taxes added £200 to domestic bills. you might have thought today's Mail would run this clarification on the front page, where the original claim was made. The fact-checking website Full Fact looked at Peiser's figures on the day they were reported by the Mail (and others) and cast doubt on their accuracy then. Why didn't the Mail also query his claims? Couples who share a bottle of wine over dinner are putting their lives at risk, according to a report. 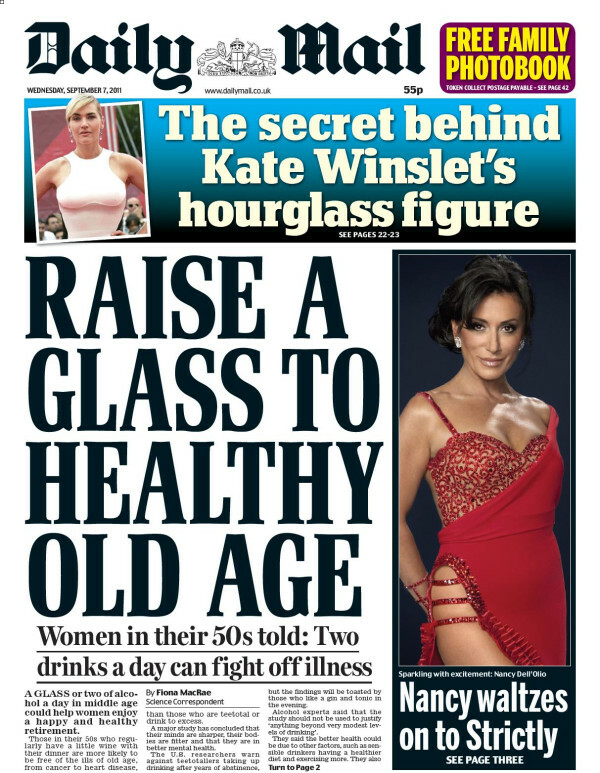 The middle classes are unwittingly becoming ‘risky drinkers’ by regularly having wine with their evening meal, significantly increasing their susceptibility to conditions such as cancer and stroke. These ‘suburban tipplers’ rarely get drunk, never binge drink and are not heavily dependent on alcohol, but they are still putting their lives in jeopardy. And because women’s alcohol tolerance is lower than men’s, they are at greater risk than their partner if they each drink half of a bottle of wine. So wine with dinner is, apparently, bad for the middle class, but good for the middle-aged. 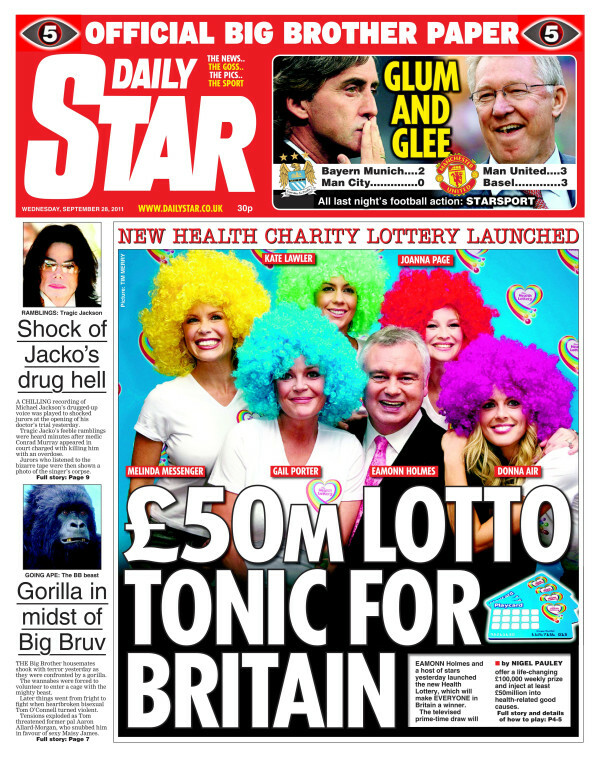 The Daily Star's coverage of Celebrity Big Brother shows no sign of slipping off their front page. It also shows little sign of reflecting actual events. Wednesday's front page clearly implies 'sobbing' Amy Childs has got the 'BB boot' and has been voted out of the Big Brother house in an 'eviction shock'. 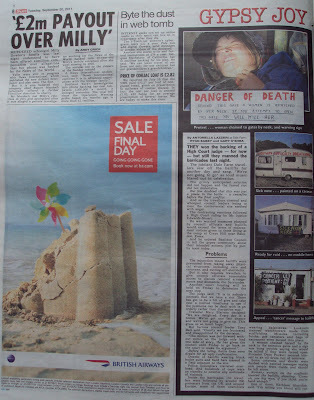 In fact, she's still in the house and hasn't been evicted - as Peter Dyke's article makes very clear. If the show is as thrilling as the 'Official Big Brother Paper' wants us to believe, why does it feel the need to resort to such blatantly deceptive headlines? The tabloid obsession with Pippa Middleton continues. The Mail website recently reported the stunning news that she had gone to a nightclub with her boyfriend and, a few days later, that she had received a parking ticket. 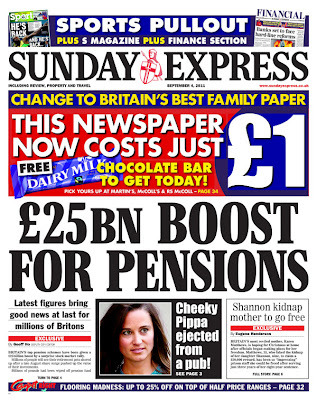 The headline, plus the fact it's on the front page, would suggest that Pippa Middleton has been thrown out of a pub. Pippa Middleton's posterior has caused a rumpus in a historic market town and has been booted off a pub sign. Regulars at The Queens Head were initially treated to a picture of Kate Middleton to mark the Royal Wedding in April. Then Richard Hammond, who runs the pub with his son Daniel, replaced it with her sister Pippa’s rear after it was pointed out that Kate wasn’t yet queen. So Pippa wasn't actually 'ejected from a pub' but a photo of her bum has been removed from pub sign. Our serialisation of a forthcoming book about the actress Vanessa Redgrave and her family on 7th May included the allegation that she had once found her husband in bed with her father. We accept that this incident did not take place and we sincerely apologise to Vanessa Redgrave and her family for the distress and embarrassment caused. 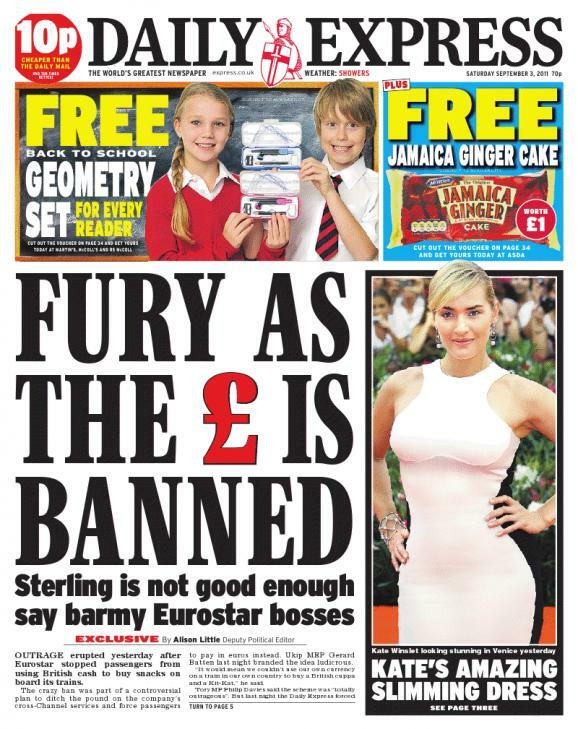 The sub-heading clarifies this slightly, pointing out that this is not a general ban but only 'barmy Eurostar bosses' who have, apparently, 'banned' sterling as it is 'not good enough'. Outrage erupted yesterday after Eurostar stopped passengers from using British cash to buy snacks on board its trains. The crazy ban was part of a controversial plan to ditch the pound on the company’s cross-Channel services and force passengers to pay in euros instead. There then follows predictable 'fury' quotes from usual suspects Gerard Batten and Philip Davies. Did this outrage really 'erupt yesterday'? 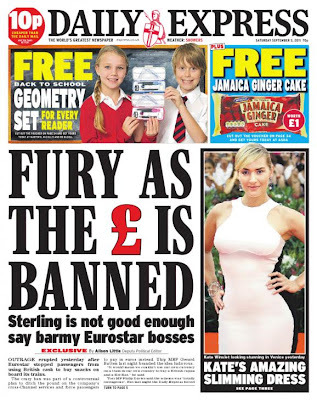 According to the story, the Express was contacted by a reader who discovered last Sunday that Eurostar were doing a seven-day trial during which they were not accepting cash payments in sterling in their buffet bar (debit card payments were still accepted). One other passenger left a critical message on the Eurostar's Facebook page on 29 August. “Like all businesses we continually monitor the range of products and services we offer to our customers and from time to time we trial new initiatives in order to better understand their views. “Over recent years we have seen a decline in the number of cash-based sterling transactions as more customers choose to pay using debit cards. “This prompted us to run a brief trial on board to gauge customers’ views about the possible withdrawal of this payment method at our buffets. So a week-long trial, during which people could still pay for snacks with their debit card, comes to an end and Eurostar decides to continue accepting 'cash-based sterling payments' anyway.